The Washington Post reports that former National Security Advisor Michael Flynn, who resigned after 24 days in office and now sits at the center of one of the biggest American political scandals in decades, may have committed a felony by lying to the FBI. Flynn was in contact with Russian ambassador Sergey Kislyak weeks before Trump’s inauguration and repeatedly denied—to both the media and White House officials—discussing sanctions that President Obama imposed against Russia as punishment for interfering with the election. 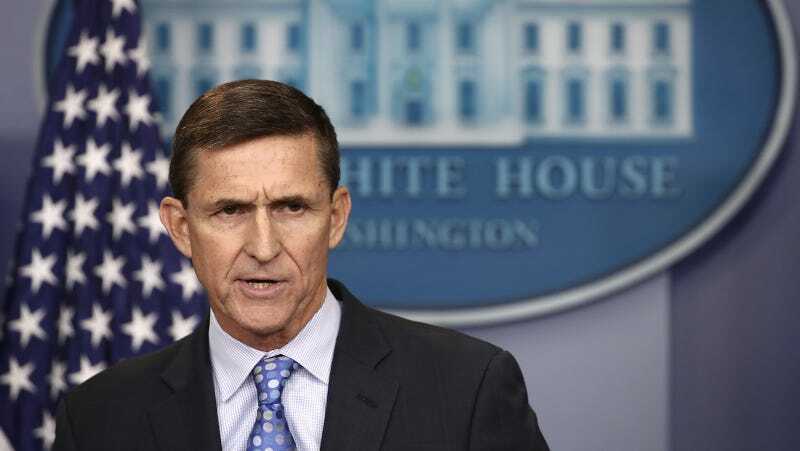 However, US intelligence agencies intercepted the December call and found that Flynn discussed the sanctions and suggested that Trump’s administration would ease them. (Intelligence agencies also learned that several other Trump officials and aides had repeated contact with Russian leadership throughout the 2016 campaign). At the end of January, two days after FBI agents interviewed Flynn, then-acting Attorney General Sally Yates (who Trump fired days later for refusing to implement the immigration ban) alerted the White House of the contents of Flynn’s call and warned that he was vulnerable to blackmail by the Kremlin. Flynn was forced to resign on Monday night after the Washington Post broke the news that he had misled White House officials. Meanwhile, the national security advisor post remains open. The man Trump tapped to be Flynn’s replacement, ex-Navy Seal Robert Harward, definitely does not want the job.